THIS PRODUCT IS ON THIS SITE FOR REFERENCE & INFORMATION PURPOSES ONLY, PLEASE DO NOT PURCHASE IT! 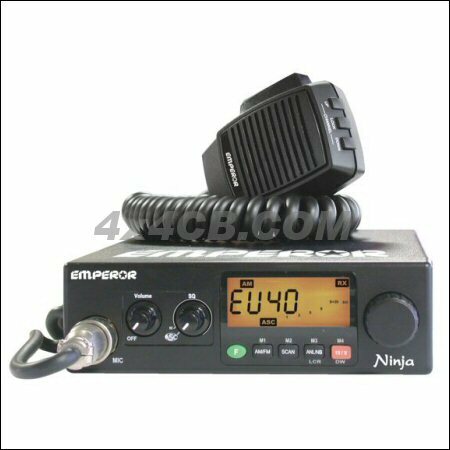 A quality CB radio, from the makers of the famous President Lincoln and other illegal sets - The Emperor Ninja is of course FULLY LEGAL in the UK, and thanks to it's Multi-Standard capability - most of Europe too. A smart looking set - well made and works well. PACKAGE DEAL Emperor Ninja, aerial, cables and choice of mount - Save Money!